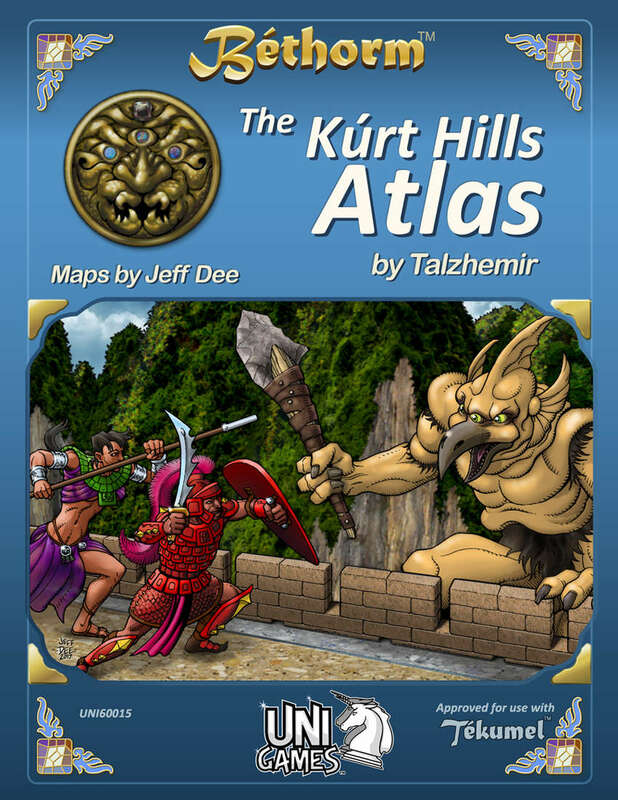 The Kúrt Hills Atlas is a complete campaign setting for the Kúrt Hills region of the Empire of Tsolyánu, from M.A.R. Barker's World of Tékumel! Usable with our own Béthorm: Plane of Tékumel RPG or with any Tékumel-based game. This book contains a vast wealth of adventure hooks, in the form of evocative descriptions of features within the Kúrt Hills region, as shown on our poster-sized map (available separately). The map also appears within the book as a series of large 100 Tsán (82.6 mile) hexes with accompanying descriptions. Check out our full line of Béthorm: Plane of Tékumel products HERE and on our website. More official source material is available at M.A.R. Barker's World of Tékumel! Tékumel is a trademark of the World of Tékumel and is used with permission of the Tékumel Foundation.